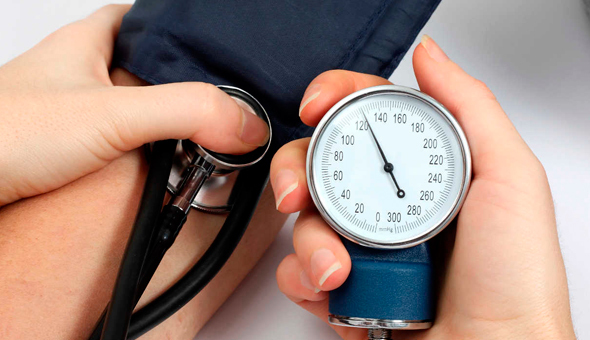 Background Raised blood pressure is an important risk factor for cardiovascular diseases and chronic kidney disease. We estimated worldwide trends in mean systolic and mean diastolic blood pressure, and the prevalence of, and number of people with, raised blood pressure, defi ned as systolic blood pressure of 140 mm Hg or higher or diastolic blood pressure of 90 mm Hg or higher. Methods For this analysis, we pooled national, subnational, or community population-based studies that had measured blood pressure in adults aged 18 years and older. We used a Bayesian hierarchical model to estimate trends from 1975 to 2015 in mean systolic and mean diastolic blood pressure, and the prevalence of raised blood pressure for 200 countries. We calculated the contributions of changes in prevalence versus population growth and ageing to the increase in the number of adults with raised blood pressure. Findings We pooled 1479 studies that had measured the blood pressures of 19·1 million adults. Global age-standardised mean systolic blood pressure in 2015 was 127·0 mm Hg (95% credible interval 125·7–128·3) in men and 122·3 mm Hg (121·0–123·6) in women; age-standardised mean diastolic blood pressure was 78·7 mm Hg (77·9–79·5) for men and 76·7 mm Hg (75·9–77·6) for women. Global age-standardised prevalence of raised blood pressure was 24·1% (21·4–27·1) in men and 20·1% (17·8–22·5) in women in 2015. Mean systolic and mean diastolic blood pressure decreased substantially from 1975 to 2015 in high-income western and Asia Pacifi c countries, moving these countries from having some of the highest worldwide blood pressure in 1975 to the lowest in 2015. Mean blood pressure also decreased in women in central and eastern Europe, Latin America and the Caribbean, and, more recently, central Asia, Middle East, and north Africa, but the estimated trends in these super-regions had larger uncertainty than in high-income super-regions. By contrast, mean blood pressure might have increased in east and southeast Asia, south Asia, Oceania, and sub-Saharan Africa. In 2015, central and eastern Europe, sub-Saharan Africa, and south Asia had the highest blood pressure levels. Prevalence of raised blood pressure decreased in high-income and some middle-income countries; it remained unchanged elsewhere. The number of adults with raised blood pressure increased from 594 million in 1975 to 1·13 billion in 2015, with the increase largely in low-income and middle-income countries. The global increase in the number of adults with raised blood pressure is a net eff ect of increase due to population growth and ageing, and decrease due to declining age-specifi c prevalence. Interpretation During the past four decades, the highest worldwide blood pressure levels have shifted from high-income countries to low-income countries in south Asia and sub-Saharan Africa due to opposite trends, while blood pressure has been persistently high in central and eastern Europe. La Sociedad Chilena de Hipertensión es una sociedad sin fines de lucro creada en el año 1987 con el objetivo de desarrollar la investigación, docencia y asistencia en el campo de la hipertensión arterial, efectuando además actividades de extensión a la población en general.